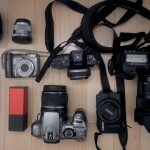 Looking for a gift for a photographer or camera lover in your life? 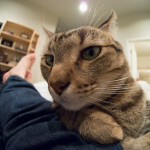 Photo gear doesn’t come cheap, and not too many people can shell out hundreds or thousands of dollars to get a top notch camera or lens for their friends or loved ones. Besides, photographers are often very particular about the make and model of their equipment, making them hard to shop for. 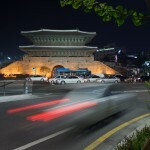 If you want to buy a meaningful, but less expensive gift for photo fanatics, you’ve come to the right place. 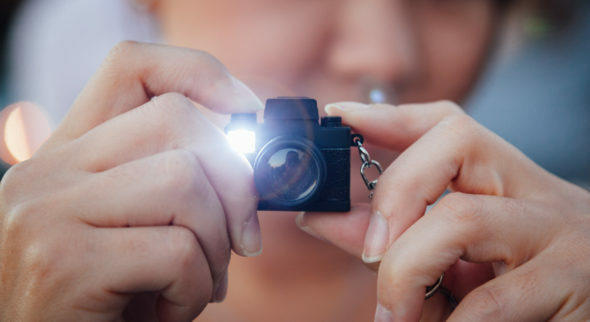 This list of great gifts for photo enthusiasts includes many fun, low-cost items that will appeal to almost every shutterbug, no matter what type of photography they’re into. And for your convenience, you can buy all of these gifts on Amazon. Simply click on the link or the image of the product to go to the product page. And with free 2-day shipping with Prime in many cases, you don’t have to run around locally to find for these toys, mugs, jewelry, clothing accessories, and more. I’ve had this lens for years, and it often gets compliments from incredulous friends and coworks who ask if I turned an old lens into a pencil holder. No matter what you do with this cool mug, it will look great on any bar, table, or desk you put it on. 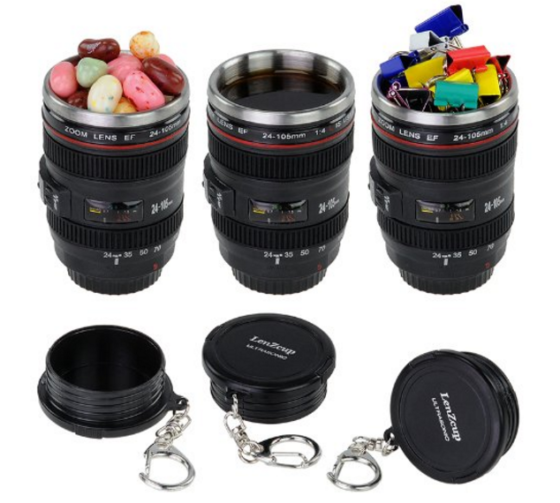 If coffee or tea aren’t stimulating enough for you, this set of 3 camera lens shot glasses will get the party started quickly. Also lined with stainless steel like their bigger cousin, each of these glasses comes with a lid with a keychain attachment. 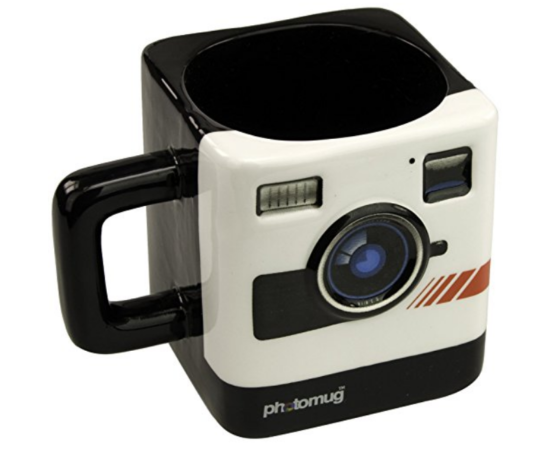 This retro camera mug looks a bit like he iconic Polaroid Land Camera that inspired the original Instagram logo. 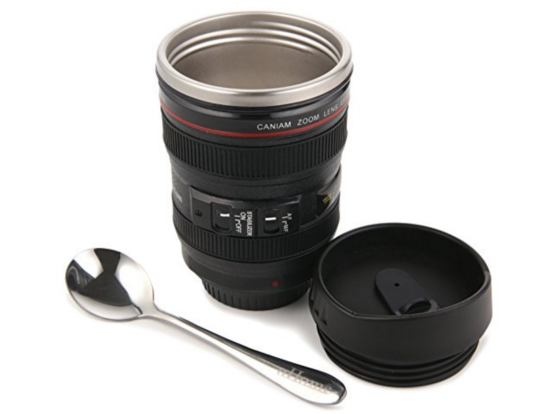 Therefore, this mug will please whether you want to give it to a millennial hipster or to and old-timer who was actually around when these cameras were cutting-edge technology. Have you ever caught yourself saying that you “like to shoot people” or that you “enjoy taking headshots” in front of your non-photographer friends? 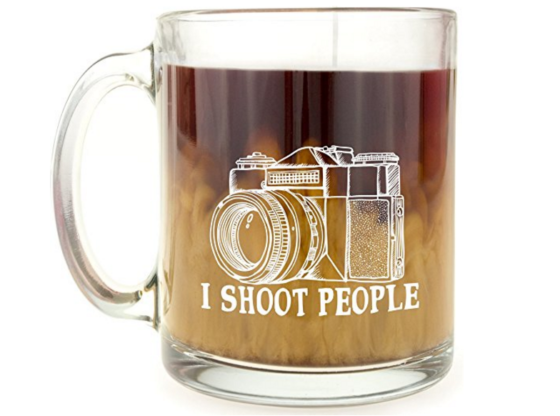 If that didn’t alarm them, this “I shoot people” glass mug might do the trick. 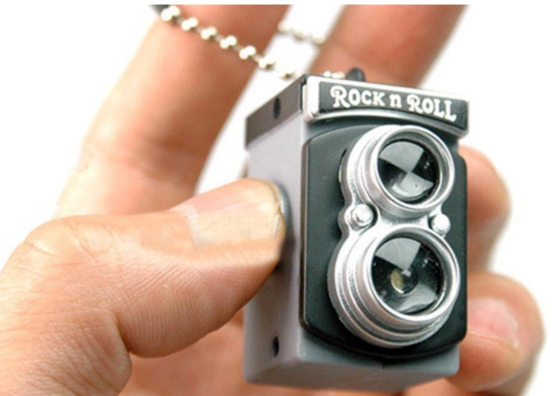 Just be prepared to tell everyone you’re simply talking about snapping pictures. 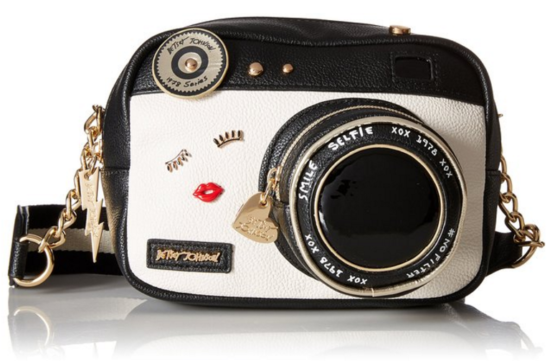 For the stylish photographer in your life, this camera-shaped crossbody purse will surely be a hit. At 7″ wide, this small purse is perfect for a night on the town. You could even use it as a camera bag for a mirrorless camera system and throw a pancake lens in the lens pocket (how meta)! 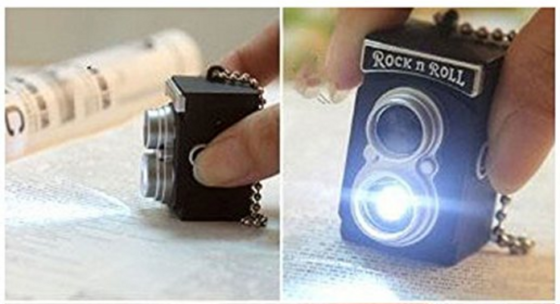 Another camera keychain with an LED, but a in a retro, double twin lens reflex (TLR) style / form factor. 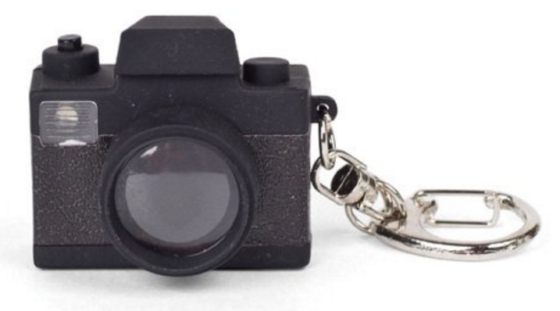 This would be a fun gift for the vintage / analog camera lover in your life no matter if they use it with their keys, or just keep it on their desk. 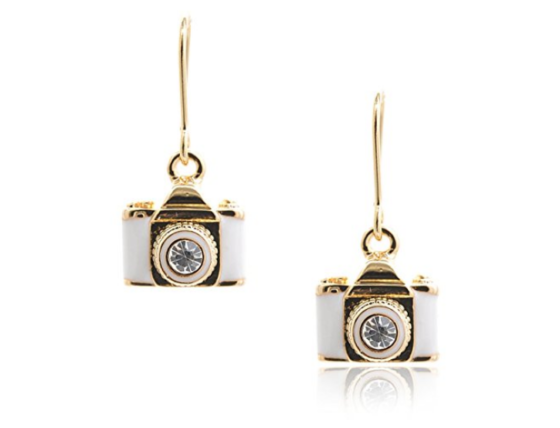 These SLR camera earrings look classy enough for any formal event and cool enough to show off your personality in at a hip gathering. And they’re available on Amazon Prime, so you can get them really quick or return them for free if they don’t work out. 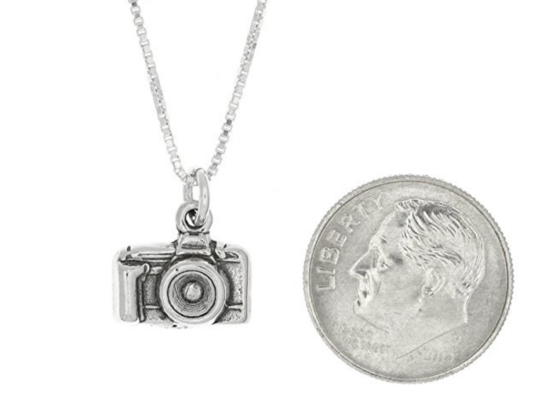 This tiny, oxidized sterling silver charm pendant is shaped like an SLR camera. In reviews, customers have said they get a lot of compliments on the charm, and that it makes a great gift. When ordering, make sure to specify the necklace length that works best for you, as some say the shorter lengths are too short. 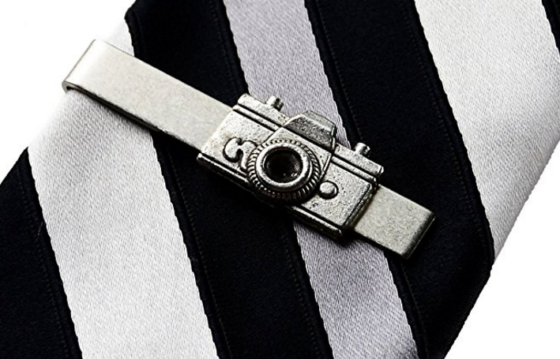 For photographers that need to dress up for a formal occasion, but don’t want to look like everyone else, this tie clip could be the “piece of flair” that makes them stand out a from the crowd. This cool clip will look good no matter which tie they choose to wear. 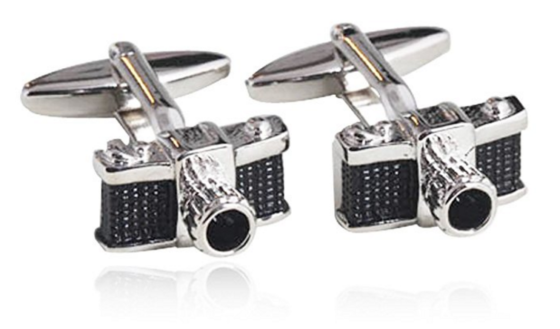 Speaking of flair, these retro SLR cuff links will up your shirt game to the next level. Always the conversation-starting piece, these cuff links will help you bond with your fellow photographers and even non-shutterbugs will take notice of their uniqueness. 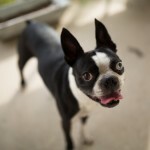 If a photographer looks stressed out and is screams “I’m about to snap!”, don’t be alarmed. They’re probably just trying to do their job and get the best shot possible. This shirt with a punny phrase is great for any camera lover with a sense of humor. 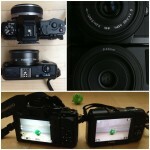 Real photographers know: the mark of a pro is being able to shoot in full manual mode for ultimate control. Let other photogs know you can nail the right exposure and calculate ISO, aperture, and shutter speed in your sleep by wearing this T-shirt where the dial is always set to manual. 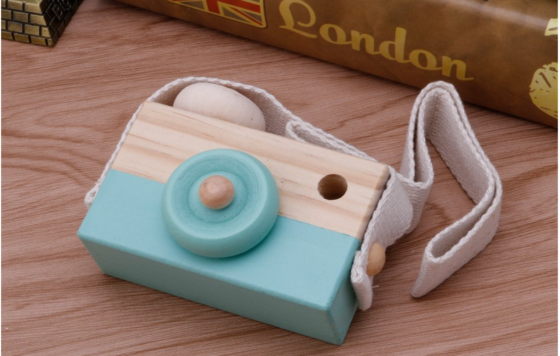 This tiny wooden camera model with a cloth strap is just 3.5 inches wide and 2 inches tall. It would be a great accessory to set on a shelf or a curio cabinet… you could even turn it in to a Christmas ornament if you wanted to, or use it as a photo subject during your travels. Wherever you put it, it will look photogenic! Which gift idea did you like best? 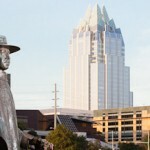 Got any other cool ideas to suggest? Let me know in the comments!